IDOT announced on Thursday, October 15th that the south leg of the intersection of Archer Avenue (IL 171) and Willow Springs Road/104th Avenue, in Willow Springs, will be closed for the installation of a new storm sewer this Friday and Saturday. The closure will happen from approximately 9 a.m. Friday until 5 p.m. Saturday. A detour will be posted. Motorists on Archer Avenue will be routed to 95th Street to reconnect with 104th Avenue. Motorists on 104th Avenue will be rerouted to 95th Street and Archer Avenue to reconnect with Willow Springs Road. The overall intersection improvement project will be finished in late November. When complete, the intersection will have designated left turn lanes on all legs, new drainage structures, a sidewalk and multipurpose path for pedestrians and bicyclists, new commercial driveway entrances, modernized traffic signals, as well as enhanced landscaping. IDOT announced today that permanent lane closures and reductions will be put in place over several days starting next week for the ongoing reconstruction of the interchange between the Stevenson Expressway (Interstate 55) and Lake Shore Drive (U.S. 41) in Chicago. Inbound Stevenson: The three existing mainline lanes approaching the interchange will be reduced to two 11-foot wide lanes starting just east of the Dan Ryan Expressway (Interstate 90/94). Inbound Stevenson to southbound Lake Shore Drive ramp: The existing single lane will be reduced to an 11-foot width, with traffic shifted to the right side of the ramp. 25th Street from Martin Luther King Drive to Donnelly Drive/McCormick Place Busway: The existing lanes will be reduced to 12-foot widths and shifted south. One lane will be maintained in each direction and street parking will be eliminated. Access to Donnelly Drive/McCormick Place Busway will be maintained. 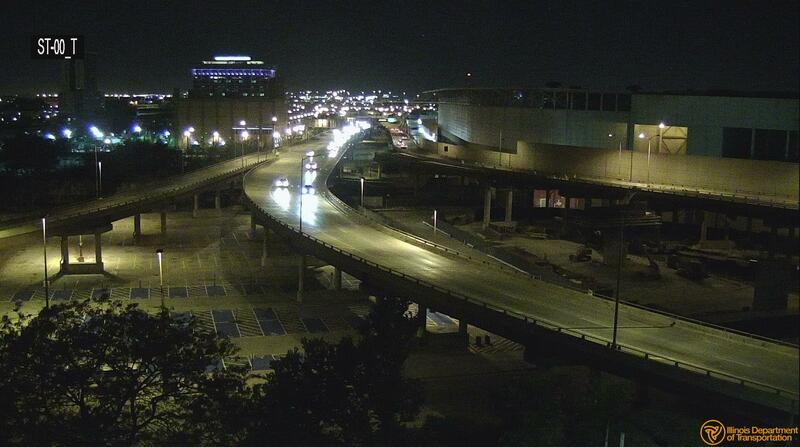 The State Street ramp to the inbound Stevenson and Martin Luther King Drive exits: All will remain open. Some overnight lane closures will be required to establish the work zone. Once in place by Nov. 3, the new configuration will remain until Summer 2016. Earlier this summer, IDOT started the $133 million project to reconstruct and reconfigure the six bridges and ramps that form the interchange between the Lake Shore Drive and the Stevenson. The Lake Shore Drive ramps to the outbound Stevenson will be completed this year and next. Construction of the inbound Stevenson ramps to Lake Shore Drive will follow, with the entire project wrapping up in late 2017. 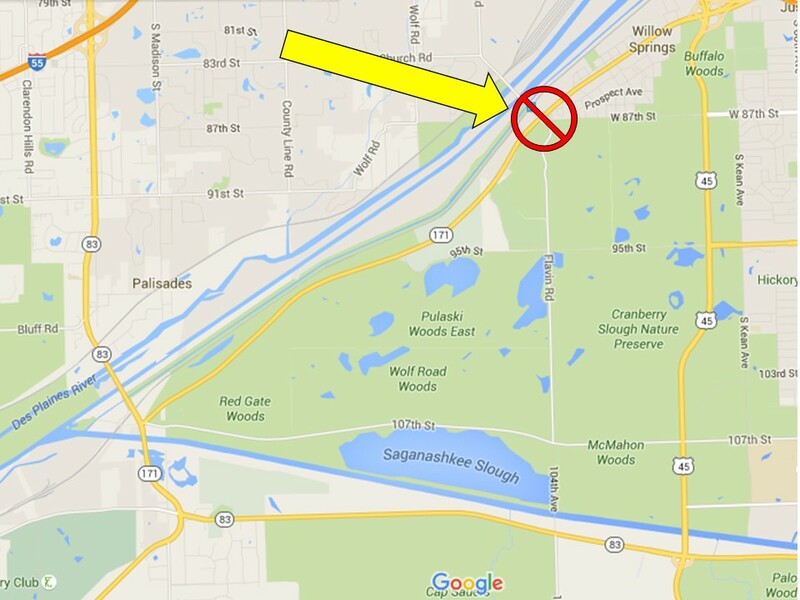 Also, there will be lane closures for on 390 for bridge work. You can click on this link for all of the details. One left lane in each direction between Rodenburg and Gary will begin at 10 p.m. and re-open at 5 a.m. on Monday.